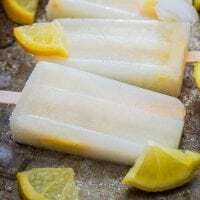 Would you believe me if I told you these 2-Ingredient THM Lemon Popsicles started with Wardee's lemon water?? Like Wardee, I also enjoy starting my day with some water with lemon juice and stevia. Adding stevia to lemon water makes it taste like a mild lemonade — MUCH better than sour lemon water, which is difficult for me to drink without puckering! Lemon water is extremely hydrating, which is important all the time, and especially during hot summer months. Plus, lemon juice is so detoxifying, cleansing, and supportive of a healthy gut, liver, and kidneys. So… what does all this have to do with popsicles? 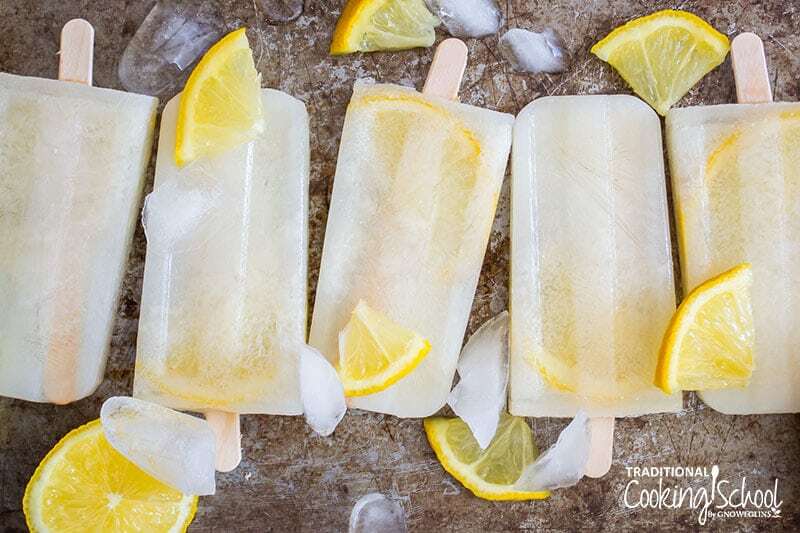 Well, on the hottest summer days, nothing is better to cool off than a frozen treat — so why not turn that hydrating, cleansing lemon water into something a little more icy? 😉 The mixture I used for these Trim Healthy Mama popsicles is just slightly more concentrated! There are 2 types of foods that provide fuel — carbs and fats. As we age or get more sedentary, we need less of these fuel sources, yet we are probably eating the same amounts we always have. Which means, we're getting more fuel than we need… and the body stores this excess as fat. The simple way around this is to avoid eating both types of fuels (fat and carbs) in any given meal or snack. So, the meals are composed of either carbs and protein –OR– fat and protein. That's how any one meal or snack provides your body with just 1 fuel source — and therefore nothing extra to store as fat. Honestly, the fairly easy weight loss probably has a lot to do with reducing excess caloric load, too. When you're careful about keeping sugar down, for instance, you simply don't eat extra calories which don't get stored as fat. Without enough carbs to be Energizing and without enough fat to be Satisfying, these tasty THM Lemon Popsicles are a Fuel Pull (FP) recipe! Fuel Pulls are awesome on Trim Healthy Mama because they can be eaten at any time, with any meals or snacks, or between meals and snacks when you're really hungry. No need to wait 3 hours to change fuel sources like with E and S meals! Enjoy these simple, 2-ingredient popsicles all summer long! 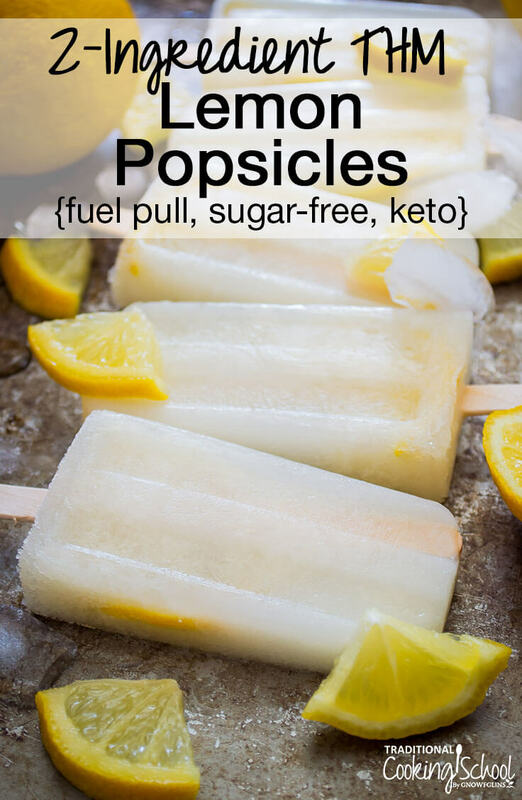 Without enough carbs to be Energizing and without enough fat to be Satisfying, these tasty 2-Ingredient THM Lemon Popsicles are a Fuel Pull (FP) recipe! This Trim Healthy Mama recipe is also stevia-sweetened, so it's sugar-free and perfect for the keto diet, too! Enjoy them all summer long! Pour into popsicle molds, like this one. Freeze for at least 4 hours or until solid. Want More Nourishing Keto or THM:S Dessert Recipes? If you're ok using sugar alcohols like erythritol in moderation (find out what it is, if it's healthy, and why you might consider it here), then you may notice it's hard to find tried-and-true nourishing dessert recipes using it. Yes, there are lots of keto-friendly recipes on the Web with xylitol or erythritol, but the other ingredients are not necessarily nourishing, whole foods, or allergy-friendly. The recipes are pretty scary, actually! 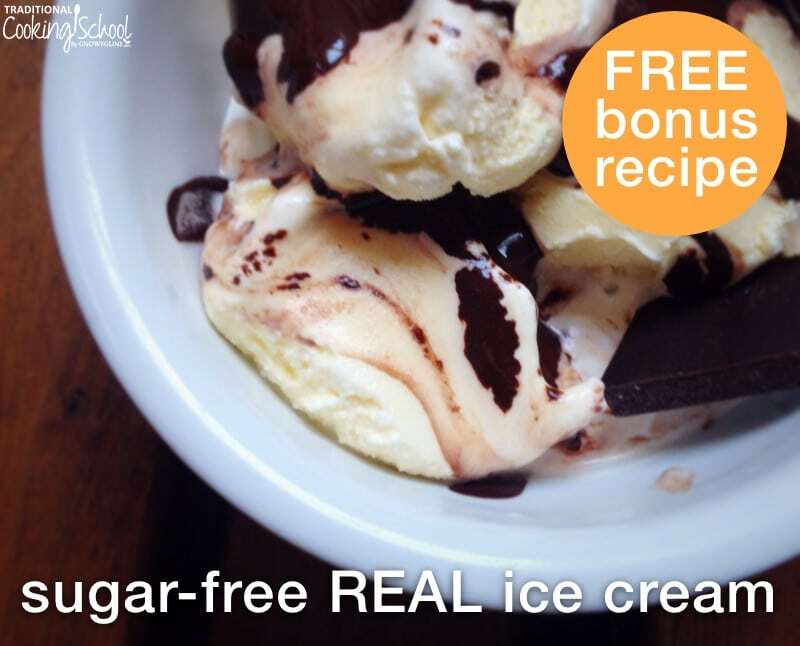 If you want nourishing, no-sugar recipes for those special occasions and you're ok with using erythritol now and then, you've got to check out my eCookbook Sweet Without Sugar. 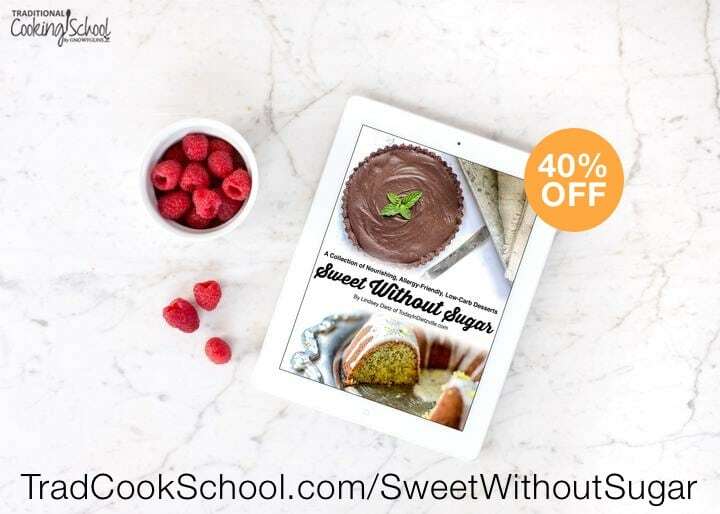 The Sweet Without Sugar eCookbook contains 59 original recipes for cheesecakes, tarts, curds, pies, cakes, ice cream, brownies and more using nourishing ingredients like butter, coconut oil, eggs, gelatin, and collagen. It's high fat, high protein, low-carb/keto, THM-friendly, Paleo or Primal, and allergy-friendly. And… it's currently on sale for 40% off! Will you make these refreshing popsicles this summer? Are you a Trim Healthy Mama or following the keto diet? I think you meant the fat/protein meals are known as S (Satisfying)!